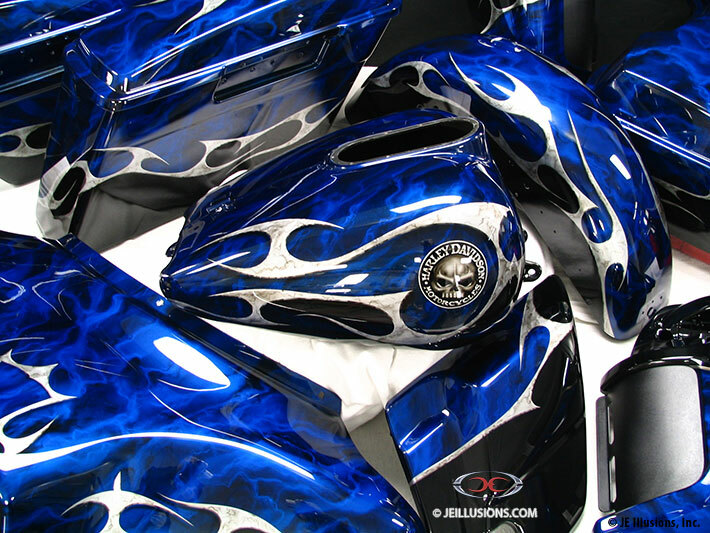 This design features ultra 3D rich airbrushed effects done in 3 different metallic colors all trapped and sunken under 8 coats of Royal and cobalt kandy. A blade style graphic is laid out by hand symmetrically side to side. These silver flake graphics have a lot of crack like details done in black and a tapered appearance on the sides giving the illusions as if the sides were beveled. The highlights and shadowing is what brings these details to life. 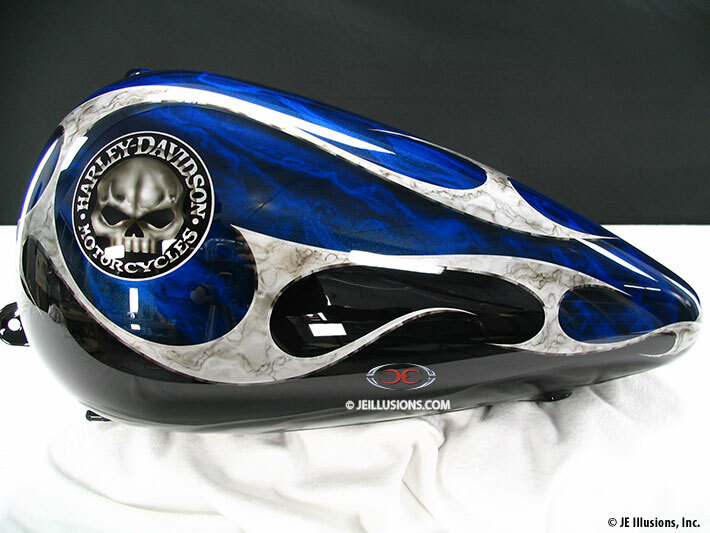 Airbrushed Harley Davidson skull logo''s are free handed for added originality, this design is really amazing. You will see several variations on this theme, each with something a little different.